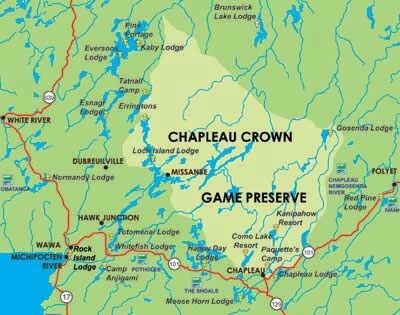 To reclaim the rightful place of our member communities as land stewards and equal partners within Canada’s constitutional fabric, starting with the Chapleau Crown Game Preserve and spreading elsewhere within the territory as opportunities arise. The NSRCF mandate is based on Aboriginal Natural Law and is guided by the Medicine Wheel and the Sacred Tree of Life through a series of culturally appropriate principles. The vision is to use the Chapleau Crown Game Preserve as a regional blueprint towards balancing our collective land stewardship rights and responsibilities through cooperation and convergence. Cooperation is to be achieved through sponsoring constructive dialogue amongst all those who have a shared interest in the CCGP. Convergence is a modern concept that identifies that it is now time for western science and traditional knowledge to work collaboratively towards better protecting the integrity of Mother Earth. The advancement of a regional traditional knowledge agenda. The NSRCF is committed to advancing culturally appropriate, solutions –based approaches to reconciling identified First Nation/Crown land issues between our member communities, the Crown, Municipalities, and local natural resource based industries and agencies. The Forum undertakes a number of activities to enhance our partnerships for the future, including; relationship building, information collection, report development, joint science/traditional knowledge based research, cultural renewal, capacity building and government to government planning sessions. The Chapleau Cree First Nation is situated on 2560 acres of reserve land, located 5 km southwest of Chapleau. It is the most southerly of all the Ontario Cree First Nations, based on the bottom of the Arctic Watershed. Originally, the Chapleau Cree settlement was located 1 mile east of Chapleau on an area of land connected with the Chapleau and Nebskwashi rivers. The band chose not to settle on this land after the Township of Chapleau built a sewage reservoir 1000 feet from the settlement boundaries of the reserve; Instead, they settled in the town of Chapleau. In 1989, Chapleau Cree negotiated with the Federal and Provincial governments to set aside lands, so that the Band could establish a permanent community. The negotiations were successful, and since the band has settled in their new community on the Fox Lake Reserve, 32 homes and a senior’s residence have been built. The traditional territory of the Missanabie Cree First Nation is centred around Missinaibi Lake, Dog Lake, and Wabatongushi Lake. The Missanabie Cree have occupied this area and have utilized its rich resources to provide for their physical, cultural, economic, and spiritual well-being. 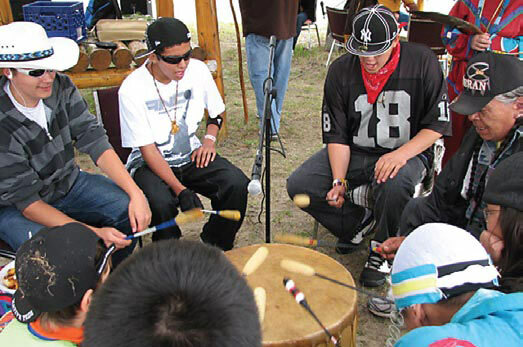 Although recognized as a band, the Missanabie Cree have never been provided reserve land under the terms of Treaty #9. In 1996, under their specific claims policy, Canada finally accepted their treaty land entitlement claim for negotiation. Negotiations are also ongoing with the government of Ontario for a transfer of land, which will eventually be created into a reserve for the use and benefit of the Missanabie Cree. The Missanabie Cree have established their head office in Sault Ste. Marie, and provide a limited range of programs and services to their membership. While continuing to negotiate toward the establishment of their reserve lands, the Missanabie Cree are also working toward the development of a vibrant, self-sustaining community in their homeland.